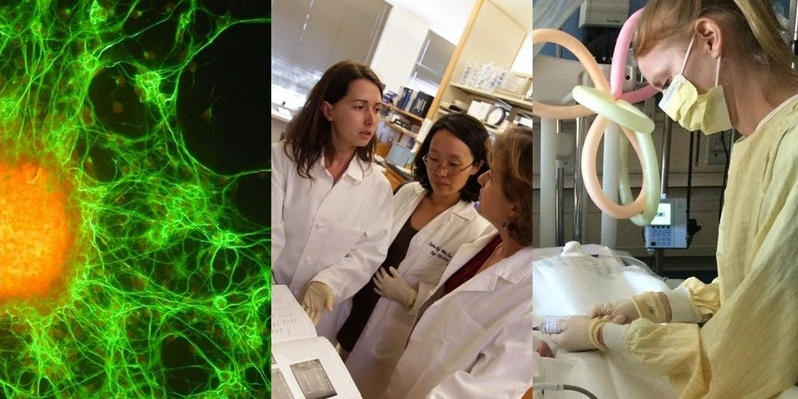 The mission of the UC San Diego CIRM Alpha Stem Cell Clinic is to accelerate the design of innovative stem cell research, to advance the testing and delivery of safe and effective stem cell-based therapies in regenerative medicine. As an academic center and in line with CIRM's mission, we want to keep you up to date with developments in the field of stem cell research and to dispel myths. We hope you find this curated content useful! For even more news, visit CIRM's official blog, The Stem Cellar, which features weekly updates. 06/30/2016: Unapproved stem cell therapies multiply. 06/30/2016: Stem Cell Clinics Selling Risky Treatments Explode Across the U.S.
06/25/2016: Many UC San Diego researchers attended and presented at the International Society for Stem Cell Research 2016 in San Francisco. The UCLA-UC Irvine CIRM Alpha Stem Cell Clinic is hosting the 2018 Symposium, "Delivery of Stem Cell Therapeutics to Patients." The general public, academia and industry guests are welcome to attend. Please contact the UCLA-UCI Alpha Stem Cell Clinic directly with any questions. This symposium highlights the CIRM Alpha Stem Cell Clinic Network, focusing on what has been achieved to date, and the participants will discuss the pathways to commercialization and reimbursement of newly developed therapies. Please see the agenda for a list of speakers. Registration is now open and free for the public and academia. April 19, 2018. 8:30 a.m. – 4 p.m.
Watch these talks all in one place. Free on YouTube! The UC San Diego Division of Regenerative Medicine held its 4th Annual Symposium on Friday, March 9, 2018 at the Duane Roth Auditorium, located at the Sanford Consortium for Regenerative Medicine, 2880 Torrey Pines Scenic Drive, La Jolla, CA 92037. This symposium brought together stakeholders from academia, industry, government and the public to discuss developments needed to turn stem cell-based therapies into approved products for patients in need. The program highlighted stem cell regeneration in different disease areas and developments with industry partners. An interactive discussion panel addressed the pitfalls and successes of current stem cell clinical trials. Please see agenda for a list of speakers. Thank you, attendees and presenters, for a successful event on Thursday, March 10, 2017. We received quite a bit of positive feedback and some areas for improvement.